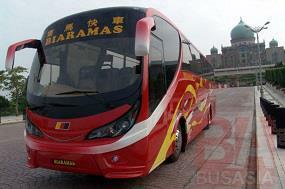 Bus Asia, which was established in 1992, is one of the express bus brand under Biaramas Express. Bus Asia has consistently delivered excellent coach service in Sarawak, Sabah and Indonesia in past 20 years. Bus Asia specializes in offering daily express bus service to all major cities within Borneo Island like Kuching, Serian, Sarikei, Sibu, Mukah, Bintulu, Miri, Brunei, Limbang, Lawas and Pontianak. Currently, Bus Asia has the largest fleet of buses and has the most schedules of services for the routes between major cities in Borneo Island on daily basis. Bus Asia coaches have a reputation of providing relaxing, comfortable and safe journey to destination for their passengers. 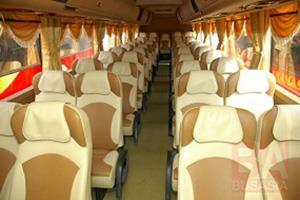 By joining BusOnlineTicket.com, Bus Asia can now offer the online booking service for the tourists and local residents.